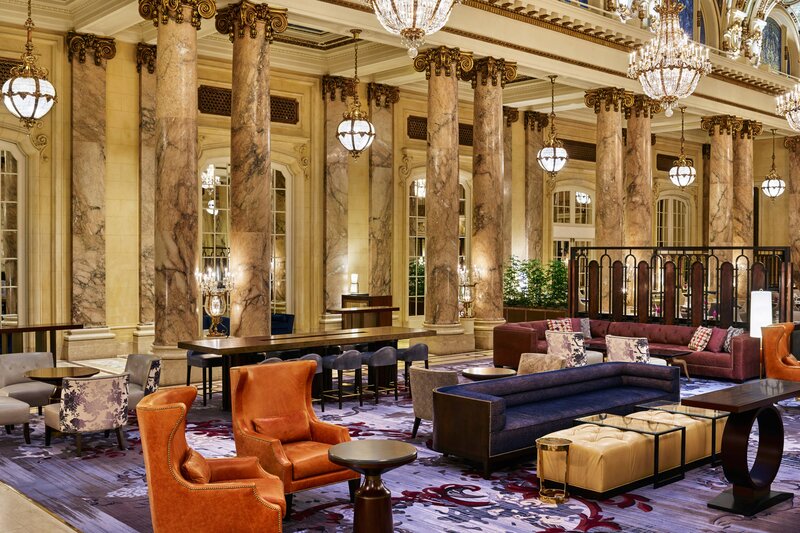 Step inside Palace Hotel, A Luxury Collection Hotel, San Francisco to indulge in delectable cuisine in the most iconic of settings. 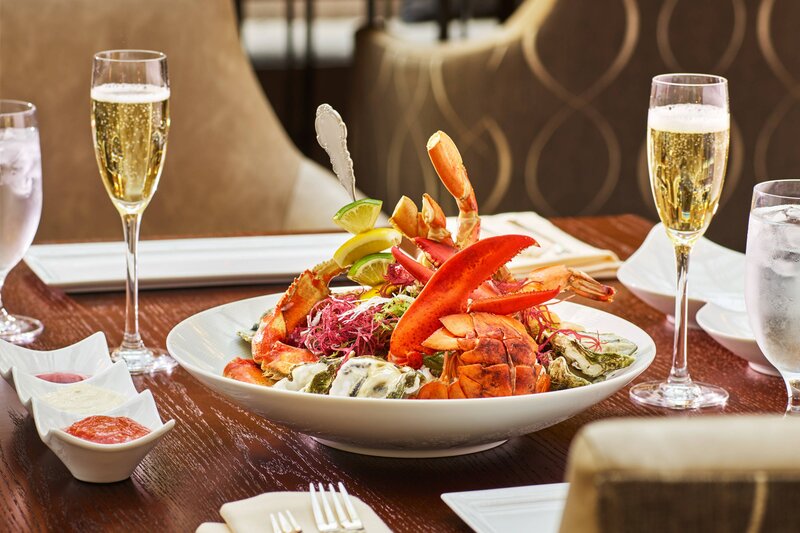 Allow yourself to be tempted by our two famous restaurants – Garden Court and Pied Piper – each with its own distinct personality and exceptional menus. If you prefer to stay in the grace of your room, you can explore our indulgent In-Room Dining menu, available at all times. Our landmark San Francisco hotel offers an enchanting setting to celebrate spring. Join us in The Garden Court and Ballroom for Easter Brunch on Sunday, April 21 and Mother&apos;s Day Brunch on Sunday, May 12. For reservations, please call 415-546-5089 or visit opentable.com. 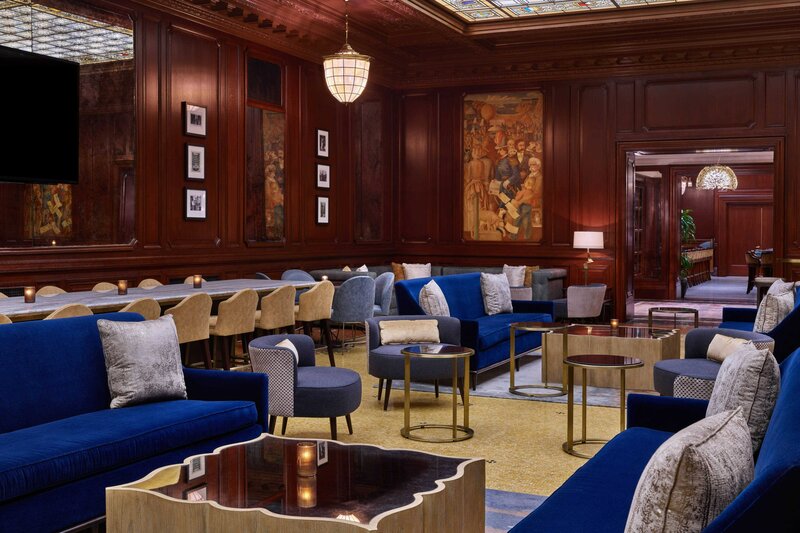 Whether you are our hosting a bridal shower, a holiday celebration, or would simply just like to enjoy the tradition of tea at the Palace Hotel, Signature Tea is a wonderful San Francisco experience. This restaurant is a restored old-school bar featuring high-end, handcrafted cocktails. The Sentinel is a popular spot known for made-to-order sandwiches and tasty breakfast grub. The original Ghirardelli Ice Cream & Chocolate Shop, featuring delectable chocolate, world famous Hot Fudge Sundaes and more. This upscale Chinese eatery features Cantonese specialties in a hip and glitzy setting. This restaurant specializes in hand-crafted American comfort food in a warm and eclectic setting. An important part of both Palace and San Francisco history, The Pied Piper was commissioned from artist Maxfield Parrish for the hotel’s reopening in 1909. Inspired by the legendary tale, the painting depicts the Pied Piper leading citizens out of the town of Hamelin, Germany. The art features 27 expressive faces including those of his wife, mistress, two sons and Parrish himself as the Pied Piper. Measuring 6 feet by 16 feet, The Pied Piper is among the most important large-scale works that Maxfield Parrish created during his career.